Since the tool has been specifically designed to infect corporate file sharing servers and turns them into a secret carrier for delivering malware to other persons on the target network, it has been named Pandemic. However, the leaked documents do not explain precisely how Pandemic gets installed on a targeted file server. Former National Security Agency (NSA) employee Jake Williams also questioned whether the leaked documents by the whistleblower group required to take advantage of the Pandemic tool had been released. "When you examine the #pandemic @wikileaks dump, ask yourself: Where are the rest of the docs? Compared this dump to any of the others you'll see that there is far less data than we got with GRASSHOPPER, etc. Do they not have the other files? Seems unlikely," Williams said. Last week, WikiLeaks dumped a CIA's spyware framework, dubbed Athena – which "provides remote beacon and loader capabilities on target computers" – that works against every version of Microsoft's Windows operating systems, from Windows XP to Windows 10. 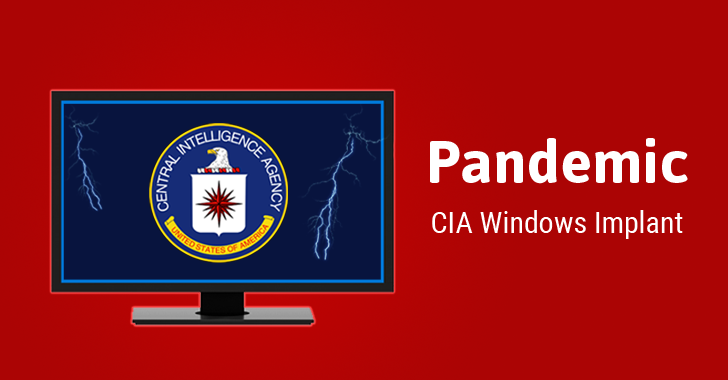 The spyware has been designed to take full control over the infected Windows PCs remotely, allowing the CIA to perform all sorts of things on the target system, including deleting data or uploading malicious software and stealing data. Archimedes – a man-in-the-middle (MitM) attack tool allegedly created by the CIA to target computers inside a Local Area Network (LAN).